With the completion of the most successful Marvel Comic Series “The Amazing Spider-man” these collectibles are surely more valuable! 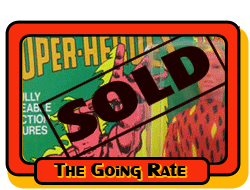 I have been collecting Spider-man Vintage Toys for over a decade now, I can assure you that this item is indeed a rare gem for any collector. The prestigious AFA grade and case can guarantee this item has not been tampered with and comes to you in top form and package. 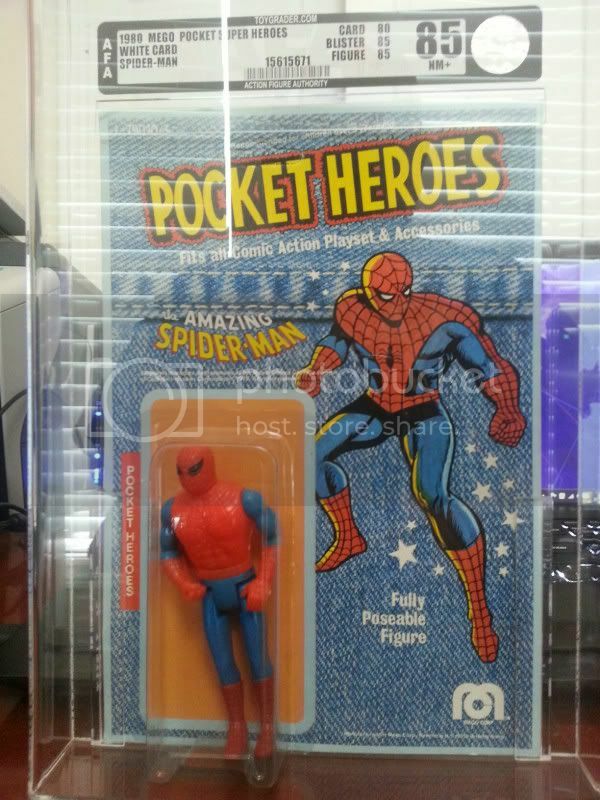 This is a must have for any MEGO collector….the Denim cards are perhaps the most rare in the Spider-Man Pocket Mego Super Heroes Series. 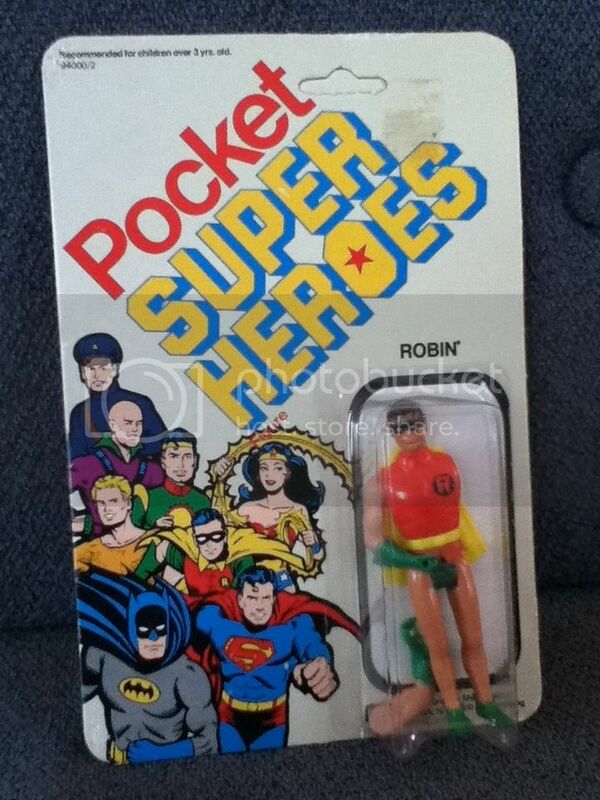 You are looking at a ROBIN figure from MEGO'S POCKET SUPERHEROES COLLECTION. The arm broke off but otherwise this is in solid condition for being as old as it is. 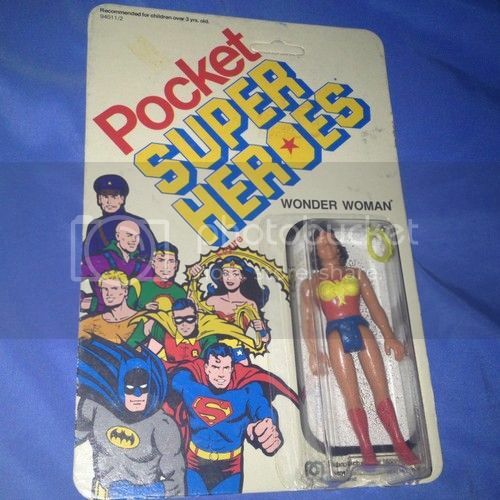 PLEASE NOTE: The condition of these figures has not been professionally graded. It's based on my visual assessment. These have been kept safely kept in a long comic box in a safe, dry place for years so they've aged very little if at all. I've detailed any imperfections above and am happy to send photos if you have specific questions. I will do my best to package these figures securely but understand that things shift in transit and that is out of my control. 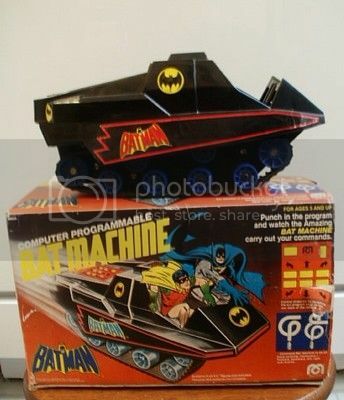 Vintage Batman Toy BAT-MACHINE! 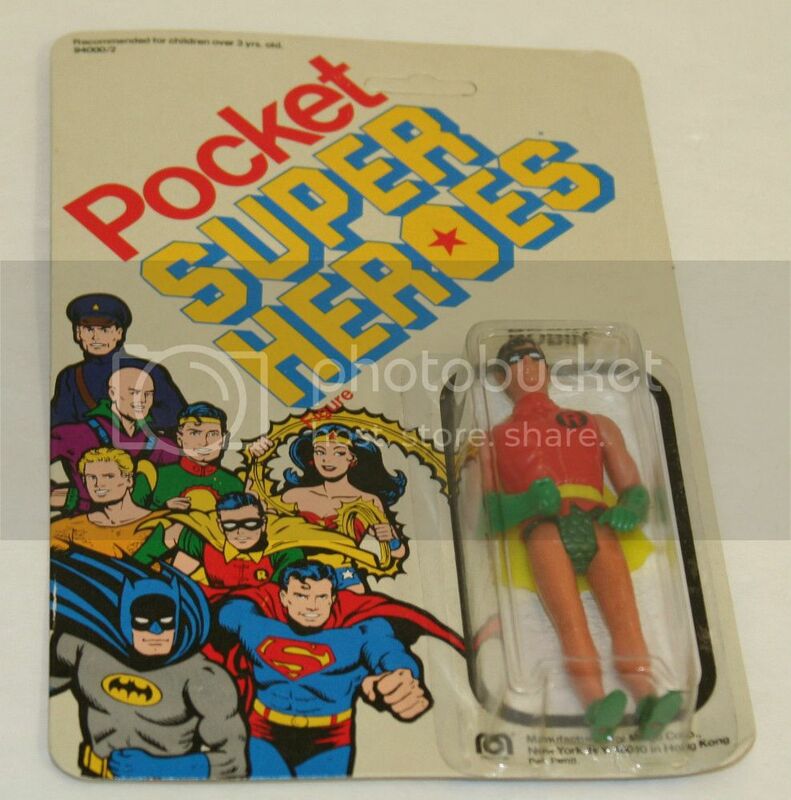 Made by the MEGO Toy Company in 1980 for their line of 3 1/4" Mego Pocket Superhero Action Figures. This vehicle doesn't run, but I'm sure it can be fixed to run. From the pictures you can see that some of the decales are missing. I have all the screws for the vechile. The box has some wear but still in good condition for it being 33 years old! 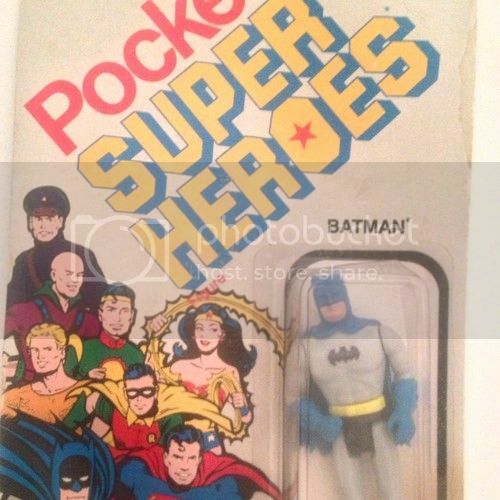 It a great display piece for any Batman collector!! 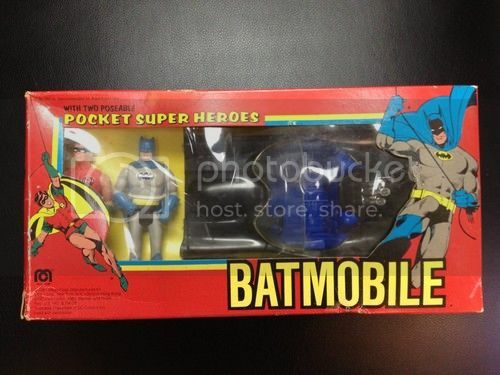 Vintage 1981 Batmobile with Poseable Batman an Robin by Mego Corp. L@@k!! 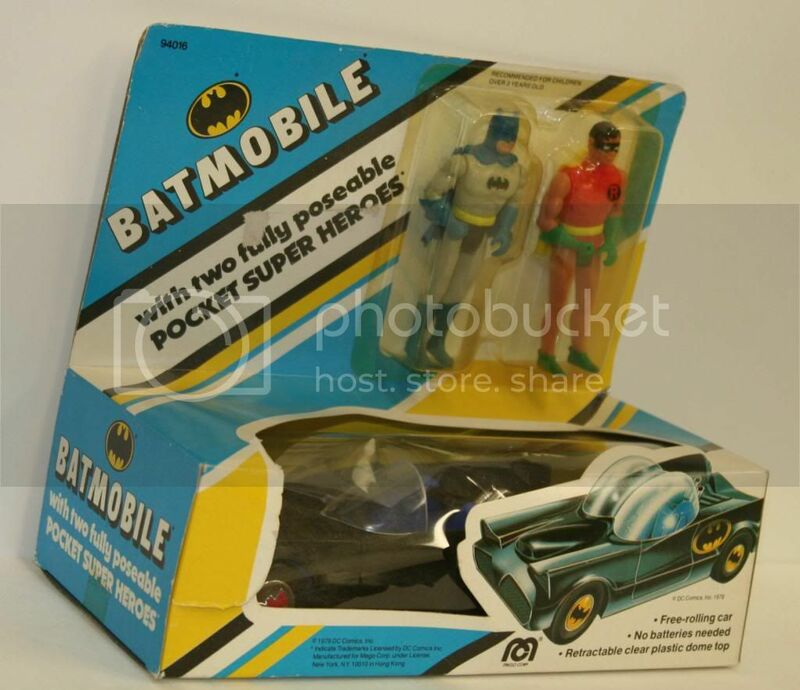 Vintage Batmobile in box with posable Batman and Robin action figures the box has NEVER been opened some creased and dents on box from improper storage but does not affect the Batmobile any questions please e-mail me and check out my other items!! 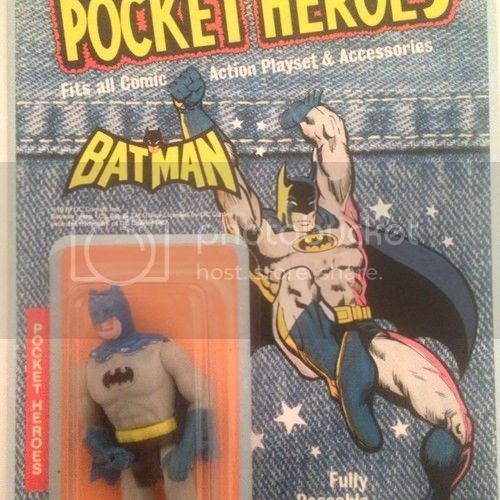 Check out my other batman auctions! Slight bend on card as shown in picture. Completely sealed on all sides. Sealed all the way around. UNPUNCHED. No reserve.